Bridging the Connection of Animals, People and the Earth! APe Action officially incorporated in January 2007 as a non-profit organization dedicated to educating people on the importance of respecting life in homes, communities, and the environment. APe Action strives to encourage kindness and empathy for the interconnection of humans, animals, and the earth. Through the implementation of Public Service Announcements (PSA’s), informative documentaries, and various educational programs, APe Action’s objective is to encourage involvement of communities to tackle environmental, animal and social issues. APe Action is a volunteer based organization run by Jill Gasparac who also runs a dog training/walking business called See Spot Stay in Los Angeles CA. 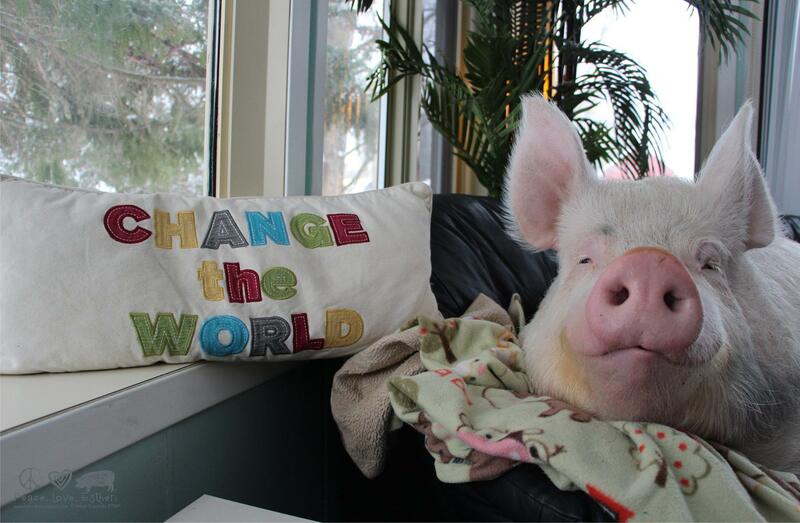 The above photo is of Esther, a pig that is changing the world, if you don’t already know her, check out her sites/pages!